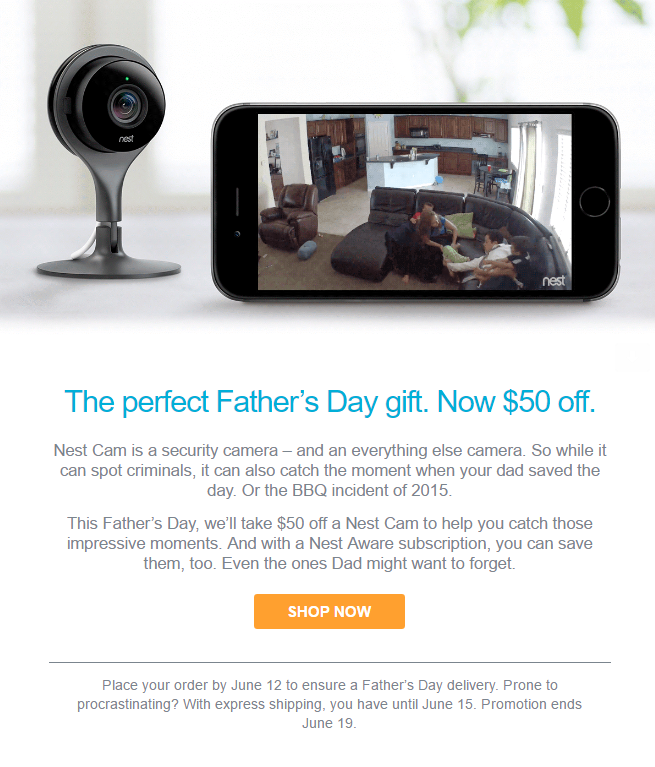 Father's day is fast approaching and if you're stuck and don't know what to get your dad/husband or if you're the dad and don't know what to ask your kids to get you, then here's an idea Nest is suggesting: grab a Nest Cam for $50 off. That brings the security camera's price down to $149, its lowest yet. Previous sales had it at $170 but not less. If you're wondering about the Father's Day connection, Nest jokingly says it could be used to catch robbers sure, but also to help dad see who ate the chips, or to record those moments when he saves the day or those weird incidents that happen during family gatherings and so on. Sure, Nest would love for you to spring for its extended yearly plans because that's what nets it more money, but if you were already interested in grabbing a Cam, then $50 of savings are $50 of savings. There's no denying that. The sale is available on the Google Store in the US, Canada, and the UK, but also on Amazon and the Nest Store. Here are the links to all of them so you can grab it wherever you prefer.